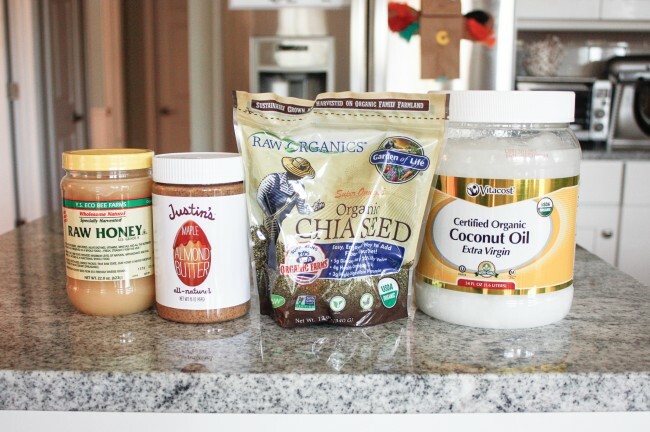 GLUTEN FREE-ISH DIET + CLEANER FOOD: Last year, I decided to eliminate gluten from my diet. I was feeling exhausted every afternoon, had some strange symptoms and just felt sluggish. I still allow myself gluten every once in a while, but its made a TREMENDOUS difference in how I feel. One of the things I’m most proud of as a Mom is that Brady will eat ANYthing (I realize that could change at any second, but let me have my moment, haha). He loves vegetables. He’ll eat onions, turnip greens, mushrooms. He’ll try anything, really. And for that reason, he loves healthy snacks and doesn’t eat a ton of processed stuff. That kid could eat twelve apples a day. We make smart choices about the food we eat and buy and are just starting to make even MORE healthy choices as we start this journey to make our home and family more healthy. I purchased the good stuff above from VitaCost to make Sarah’s smoothie here (it’s a great website Sarah introduced me to – cheaper than Amazon and just as fast!). You can get $10 off your order (I’ll get $10 off mine too!) by using my link here. I’m excited to start using coconut oil as a moisturizer and in smoothies (especially since I’m allergic to banana – so strange). Here are two movies I watched that really made me look at food differently: Forks Over Knives and Fat Sick and Nearly Dead. ESSENTIAL OILS:Another way we started cleaning up our house is by using essential oils. I was very skeptical at first, but after watching Brady’s bedtime COMPLETELY change after rubbing lavender on the soles of his feet or watching a sniffle go away over night after diffusing thieves in his room, I’m convinced. I’m still learning all the ways to use our Young Living set, but I’m a believer. I got ours from my friend Amber Ulmer. SAFER PRODUCTS: Sarah also introduced me to BeautyCounter. Check out Sarah’s post on their products here. I love good skin care products, but they’re FULL of parabens (aka bad stuff). And if you think about the amount of products you use on the largest organ you have (your skin)… it’s pretty scary. From shampoos, conditioners, lotions, perfumes, makeup, skin cream, face wash… just goodness. It’s a little overwhelming when you think about it. I ordered some face wash from BeautyCounter. I’m interested to try it. My skin is combination, so I’ll keep you posted. Their website is fantastic though and they have a great blog, Truth Serum. Their “Never List” will blow your mind. We’re slowly transitioning what we have to these healthier products. So when we run out of laundry detergent or dishwashing pods next, I’ll buy mine from Honest Co, etc. I’d love to know what you do to keep your family healthy. I feel this enormous responsibility about it, obviously, and I also KNOW that so much of the disease and exhaustion and infertility and awfulness that’s out there right now is, in part, due to the food and product choices we make. Its SO overwhelming though. So what healthy choices do you make for your family? I’d love some tips! Here’s another post on how I used to juice for little B!